The destroyer HMS Ariel (Lieutenant James Vandeleur Creagh) sinks the German submarine UC-19. 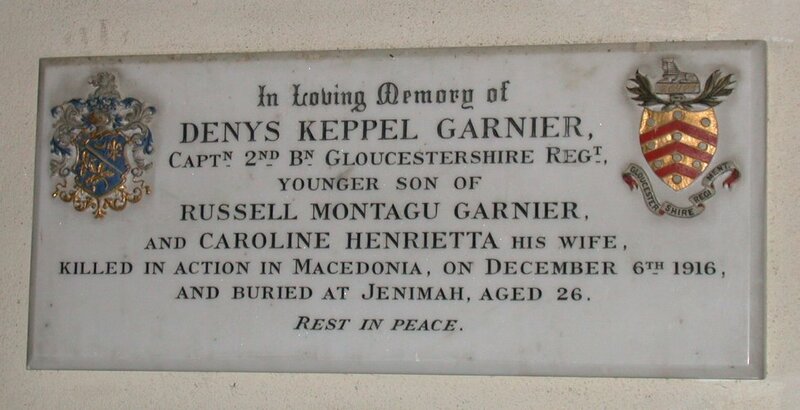 Captain Denys Keppel Garnier (Gloucestershire Regiment) dies of wounds in Salonika at age 26. He is the son of the Very Reverend Thomas Garnier. Captain Arthur Reginald Loveband (West Yorkshire Regiment) is killed at age 26. His brother will be killed in March 1918 and they are sons of the Reverend Matthew Loveband. Lieutenant Thomas Atkinson Tillard (Norfolk Yeomanry attached Royal Flying Corps) is accidentally killed testing a mono plane. Second Lieutenant Richard Harry James Willis Ridgway (Gloucestershire Regiment attached Trench Mortar Battery) is killed in action at age 19. He is the son of Brigadier General R Ridgway. Lance Corporal William MacBeath (Seaforth Highlanders) is killed. His two brothers will be killed over the next year and a half. Private Bernard Walker (York & Lancaster Regiment) is killed at age 20. His brother was killed in May 1915. Private Albert Ernest Veart (Auckland Infantry) dies of wounds received 30th He played forward for the Hobson Football Club.